I’ve decided to write a blog about the man at packet pick-up that really upset me. Here is some background information about our conversation. Last weekend we picked up my race packet for The Buffalo Stampede ten mile race. Dan waited in the car while I quickly ran in. Or so I thought I would have. Packet pick-up is always exciting and usually takes a few minutes. I picked up my bib and headed to the shirt table where I was greeted by an older gentleman who asked me, “Is this your first time running the Buffalo Stampede? 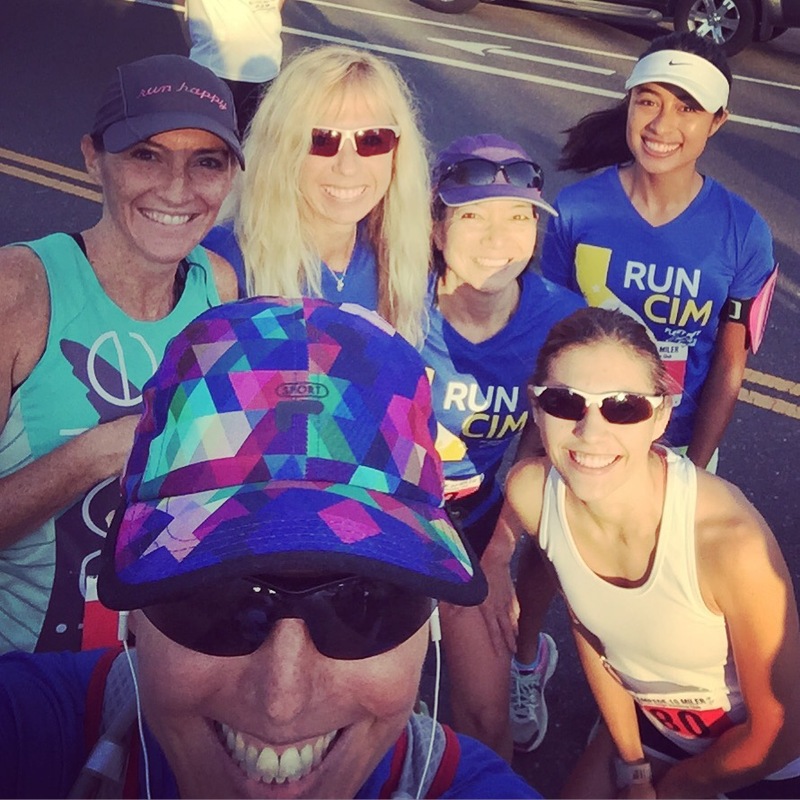 What is your time goal for the race?” I explained to him it was my first time running this race and I was using it as a training run with some people from the CIM (California International Marathon) training group. I went on to tell him our training plan had us scheduled to run 12 miles that day so the goal was to complete the race and continue on for another two miles as a cool down. I told him that I joined this program with the hopes of qualifying for Boston at this years CIM. As I tried to make small talk and pick-up my items I was asked a few more questions. We then started discussing marathon training. He asked me if it was my first marathon and when I explained it wasn’t he asked me what time I had finished last year. As a runner I don’t like to share race times with people whether it’s my best race or my worst race, unless of course we have the type of relationship where you understand my running goals. To me, it’s just part of an unwritten, unstated runner code. 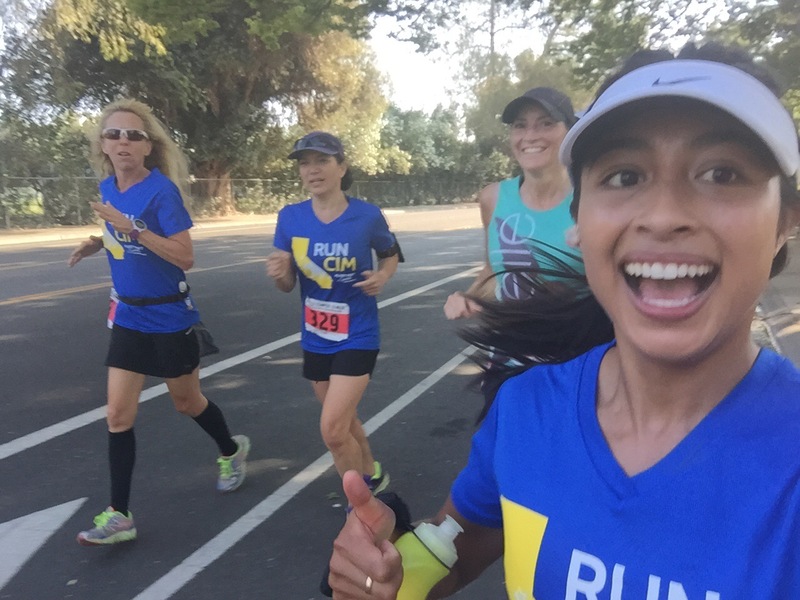 When I said my last marathon time “was nothing to talk about” he insisted I tell him my time. Finally I did which was 4:55. I knew what his immediate response would be and was in disbelief by his feedback. He told me it was a really big time gap to try and qualify this year and that it more then likely was not going to happen. When I tried to explain that I am mentally much stronger and determined to work hard to qualify this year, he continued to name off the amount of Boston Marathons he’s ran and what his amazing times were, as well as the hundreds of marathons he’s completed in his lifetime. I didn’t ask but I politely smiled and responded with “That’s really admirable!” Even the man handing out race bibs yelled over, “She’ll be fine.” Finally, someone lined up behind me and I had an excuse to politely leave the conversation. When I got to the car I told Dan about my conversation with this man and that it really bothered me. Dan’s response was a typical husband response and was, “Who cares? Don’t worry about him!” I tried to brush it off and enjoy the rest of my day. Later that night instead of being really excited about the race the next morning I felt myself making excuses as to why I would not run it. I didn’t leave out my running clothes the night before, and I didn’t set my coffee timer as I normally do the night before a race. All night I thought of simply not racing and taking the day off. I came up with a few valid excuses: my calves were tight, I was tired, I had way too much stuff to do Sunday. In the morning, even though I had not done any of my pre-race rituals, I decided to join my friends and make the best of it. 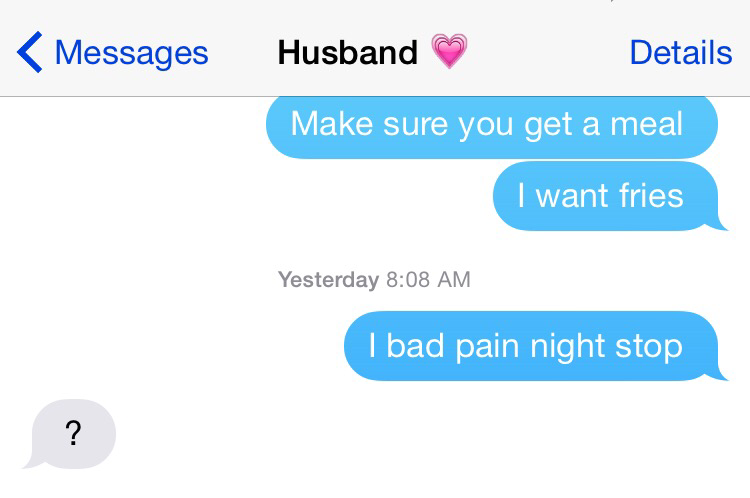 Since I was running and texting it actually was spelt “I bad pain night stop.” To which Dan replied with a question mark. At that moment I heard my friend Emily yell out and ask if I was okay. I also saw my friend Andrea and decided to run with her. She was just the motivation and energy I needed to stay focused and finish the race. We ran together at a comfortable pace until about mile eight. Without her I would have never finished. By mile eight I felt great and decided to push myself to run the last two miles of the race at a much faster pace. I literally said to myself out loud, “You’ve got this! You can do it!” I pushed through and finished strong. I even completed the two extra miles that I told myself I wasn’t going to do at mile four. To my surprise I ended up finishing the race 2nd in my age group. I was shocked. My friend called me on the drive home to tell me to turn around. I had seen the results posted on the wall on my way to my car but didn’t bother to look at them because I was sure I wasn’t on there. To my surprise I actually placed. I doubted myself the entire time and was so bothered by that man’s negative comments. During the first half of the race I was in my head telling myself: that I would never qualify for Boston and everyone around me was thinking the same thing. That it was just too much time to shave off my first marathon and that ultimately, he was right, I was never going to be strong enough or fast enough to run 26.2 miles at an 8:12 pace. It was impossible. This isn’t the first time someone has discouraged me from meeting my goals and it won’t be the last time but it was the first time I let it get the best of me. Since starting the CIM training group I have grown to be a stronger and more consistent runner. It is giving me the confidence and support I need to achieve my goal. To the man at the shirt table that told me I could not reach my goal: thank you. I’m taking your negative comments and using it to my advantage. What I didn’t explain to you because I didn’t feel it was necessary to explain to a complete stranger was that last year my goal was to simply complete my first marathon-whether I walked or CRAWLED across the finish line. THAT was my goal. To finish. Which I did and I did with pride. Last year I didn’t train anywhere near as much as the level of training I am doing this year but after finishing my first marathon I knew that nothing was impossible. It saddens me that I let you get the best of me. Luckily, the runners I have met and choose to surround myself by are some of the most motivating and positive people you can have in life. 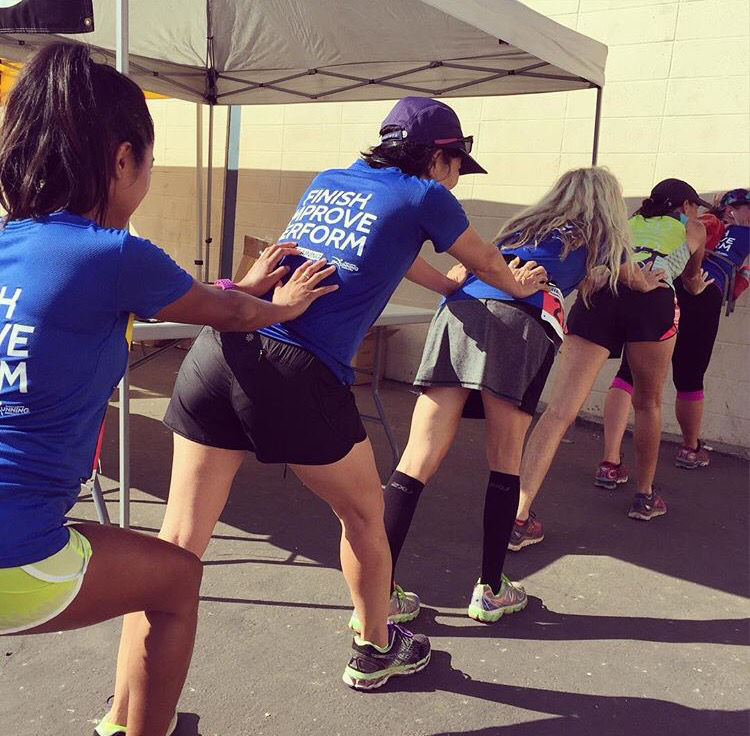 I love being a part of the running community because we support each other through the good and the bad. Although you may not have meant for your words to hurt my feelings, they did, but not for long. I hope you will take this as a lesson learned to be mindful of the words you choose and learn to encourage others. I am proud of you for accomplishing so many achievements in your lifetime and I hope to one day be the same way. Until then I hope to help others stay positive and achieve their goals. I understand the journey to meeting my goal may seem impossible to you and even if I don’t qualify for Boston this year as long as I work my hardest I’ll walk away with a sense of pride knowing that I did my best. The beautiful thing about running a marathon is that it makes the impossible possible and I will not let you or anyone take that away from me. Thank you for the motivation to put my all into achieving the impossible.